tation of the pubic symphysis a t puberty, the bladder-prostate-urethral junction descends within the pelvis so that it comes to lie at the level of the distal third of the pubic symphysis. In the 14-year-old (Fig. 241, the prostate has increased in size throughout, incorporated more than 50% of the pre-penile urethra, and is spherical in appearance. As the lateral lobes increase in size, they bulge ventrally (Fig. 24). This is in contrast to the distinct posterolateral direction of growth a t earlier ages. The forward growth of the lateral lobes has continued the process of pressure atrophy of the sphincter muscle, so that few grossly dissectible fibers are seen on the lateral lobes of the prostate. The grooving and excavation of the prostate (Fig. 24.) clearly show the disposition of the urethral sphincter as it contacts the anterior part of the prostate. In the late puberal stage of 18 years (Figs. 18-22), near the mid-length of the prostate, the anterior border of the lateral lobes grows forward and begins to overlap the urethra. With this advance the prostate grows into the sphincter and, as a result, the muscle partly overlaps it and is partly contained within it. In a cross-section of the prostate a t mid-length (Fig. 191, the overlapped portion of the urethral sphincter rmy be seen spanning between the anterior portion of the lateral lobes and partly surrounding the urethra. Increased infiltration of connective tiwe (pmstatic sheath) and vasculature (prostatic venous plexus) into the anterior fibers of the sphincter muscle at this age adds to the difficulty in establishing the structure of this muscle by gross dissection. Near the caudal border of the prostate (Fig. 201, the sphincter surrounds the urethra. In the same section are seen the caudal tips of the lateral lobes of the prostate, posterolateral to the sphincter muscle. This demonstrates the caudal growth of the prostate during this state of enlargement. Caudal to the prostate, the sphincter completely surrounds the urethra (Fig. 21). Below the urogenital hiatus, the sphincter mass enlarges dorsal to the urethra (Fig. 22). These fibers invest the bulbourethral glands and expand toward the pudendal canals. In sagittal section (Fig. 181, the anterior part of the sphincter lies above the urethra. 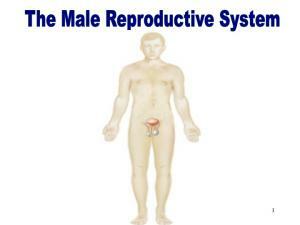 This is due to the oblique course of the urethra through the prostate and to the curve of the urethra. Anterior to the sphincter muscle, a distinct dense fascia1 plane extends vertically toward the bladder. This is the transverse ligament of the perineum. the resulting sphincter muscle extends without interruption from the bladder to the perineal membrane. The prostate develops from the urethra and grows into the overlying striated sphincter muscle. At the onset of puberty, the developing prostate further invades the sphincter muscle, thinning the overlying parts and causing a reduction or atrophy of some of the muscle, while overlying some of the sphincter and incorporating it within the prostatic perimeter. In comparison, the urethral sphincter of the adult gorilla resembles, in degree of development, that of the human full-term fetus and child (Oelrich, '78). The prostate in the gorilla is paired, and each gland attaches to its respective urethral sinus lateral to the seminal colliculus. The prostate does not encircle the urethra and, therefore, does not invade or compromise the urethral sphincter. There is no subdivision of the human urethra sphincter muscle by fascia1 planes, and no smooth muscle septa have been recognized dividing the muscle into parts (Hayek, '62). While there is regional differentiation, this exists as a result of the growth of the secondary sexual organs. As these organs increase in size, the sphincter muscle is reduced accordingly, therefore sacrificing the efl'ectiveness of the more proximal parts of the muscle. The concept of a urogenital diaphragm implies that the urethral sphincter is a transverse plane of muscle spanning between the two ischiopubic rami and surrounding the membranous urethra. In this concept, two fascia1 planes envelop the muscle; one plane, the inferior fascia of the urogenital diaphragm (perineal membrane), lies inferior to the muscle sheet, and the other, the superior fascia of the urogenital diaphragm, is said to be above the sphincter and extend to the urethra, separating the muscle from the prostate. The entire structure is described as lying below or outside the pelvic cavity. It has been clearly demonstrated in this study that the urethral sphincter is not a horizontal plane, but that it lies within the pelvic cavity and within the urogenital hiatus, and that it extends from the bladder to the perineal membrane. Also, this muscle is associated throughout with the prostate (Fig. 32) and not just with the membranous urethra. The fascia which surrounds the sphincter muscle and prostate is a vertically oriented tubular sheath and not a pair of transverse planes (Fig. 34). I wish to express appreciation for the art work provided by William Brudon. This work was supported in part by a grant from the United States Public Health Service-NIH 5R01 GM 09773-02. LYFERATURE C m D Braus, H. (1960) Anatomie des Menschen. Springer-Verlag., Berlin. Courtney, H. (1950) Anatomy of the pelvic diaphragm and a n o d musculature as related to sphincter preservation in anorectal surgery. Am. J. Surg., 79:155-173. Derry, D. (1907) Pelvic muscles and fasciae. J. Anat., 42; 107- 111. Gil Vernet, S. (1953) Patologia Urogenital. Tom0 II,Vol. I., Biologia y patologia de la prostata., Edit. Paz Montalvo, Madrid. Haines, R.W. (1969) The stripd mmpressor of the prostatic urethra. British Journal of Urology., 41r481-493. Hayek, H. (1960) Das Faserkaliber in den Mm. transversus perinei und Sphincter urethrae. ZeitscriR fiir Anatomie und Entwicklungsgeschichte., 121t455-458. Hayek, H. (1962) Zur Anatomie des Sphincter urethrae. ZeitschriR fiu Anatomie und Entwicklungsgeschichte., 123:121-125. Henle, J. (1873) Handbuch der sptematischen Anab mie des Menschen. Bd. II., Eingeweidelehre.,Freiderich Vieweg and Sohn, Braunschweig. Holl, M. (1897) Die Muskeln und Fascien des Beckenausganges. In Handbuch der Anatomie des Menschen., Bdeleben., Gustav Fischer, Jena. Hutch, J., and 0. Rambo (1967) A new theory of the anatomy of the internal urinary sphincter and the phpiology of micturition. J. Urol., 97;69&704. Kalischer, 0. (1900) Die Urogenitalmuskulatur des Dammes. Verlag Von S. Karger., Berlin. Manley, C.B. (1966) The striated muscle of the prostate. J. Urol., 95t2.34-240. Oelrich,T.M. (1978) Pelvic and perineal anatomy of the male sonlla: [email protected] o!srVatiw. Anat Rec., 191tm446. Poirier et Charpy. (1901) "ria6 d' Anatomie humaine. Tome V., Masson et Cie, Paris. Rolnick, H., and H. Falk (1949) An anatomic study of the external urethral sphincter in relation to prostatic surgery. J. Urol., 61t591-603. Smith, G. (1908) Studies in the anatomy of the pelvis, with special reference to the fasciae and visceral s u p ports. J. Anat., 42t252-270. Testut, L., et A. Latajet (1949) Tria6 d' Anatomie humaine. Tome V, Gaston Win & Cie, Paris. Wesson, M.B. (1920) Anatomical, embryological and physiological studies of the trigone and neck of the bladder. J. Urol., 4:27%315. Fig. 1. Frontal section through urethral sphincter muscle of a 39-year-old male (urethra on left). x 24. Fig. 2. Frontal section through urethral sphincter muscle of a 7CLyear-old male. Fig. 8. Cross section of male urethra in a Wmm-CR fetus, just proximal to oorpus spongimum. Note pelvic diaphragm lateral to urethra. X 25. Fig. 9. Cross section of male urethra in a 60-mm-CR fetus at level of primordial seminal oolliculus, primordial urethral sphincter ventral and lateral. X 25. Fig. 10. Cross section of male urethra in a WmmGR fetus near base of the bladder, primordial urethral sphincter ventral and lateral, fused paramesonephric duds dorsal to urethra. x 25. Fig. 11. Sagittal &ion prostate. x 10. Fig. 12. Median section of a 94-mm-CR male fetus through the lumen of the urethra demonstrating junction of paramesonephric ducts. x 10. Fig. 13. Sagittal section of a 115-mm-CR male fetus demonstrating development of urethral sphincter, prostate, and rectourethrais muscle. x 12. Fig. 14. Fmntal section of 115-mm-CR male fetus showing developing urethra,sphincter urethrae, and bladder in relation to pelvic diaphragm and urogenital hiatus. x 12. Fig. 15. Sagittal section of a 130-mm-CRmale fetus showing differentiated urethral sphincter completely surrounding the urethra. x 10. Fig. 16. Frontal section of a 245-mm-CRmale fetus demonstrating relation of urethra, prostate, perineal membrane, and pelvic and urogenital musculature. x 3.75. Fig. 17. Sag~ttalsection of a 245-mm-CRmale fetus showing complete extent of urethral sphincter. Note pubovesical fibers between pubis and urethral sphincter. x 3.75. Fig. 18. Sagit.ta1&.ion of an 18-ye=-old male urethra sphinctar and perineal structurcs. Fig. 19-22. C r o s section of leR half of urethra and urethral sphincter of an 18-year-old male showing various relations of the urethra sphincter. Fig. 19. At mid-length of the prostate. x 2. Fig. 20. Inferior pole of lateral lobes of prostate. x 2. Fig. 21. Urethra in urogenital hiatus. x 2. Fig. 22. Urethral sphincter below the pelvic diaphragm and urogenital hiatus. Fig. 23. Lateral view of prostate a d pre-penile urethra in a male, 12 years. x 1.5 Fig. 24. Lateral view of prostate and pre-penile urethra in a male, 14 years. x 1.5. Fig. 25. Lateral view of bladder, seminal vesicle, ampulla of ductus deferens, and urethral sphincter muscle in a male. term.X 1.5. Fig. 26. Lateral view of bladder, urethra, prostate, urethral sphincter muscle removed in a male, term. x 1.5. Fig. 27. Lateral view of bladder and urethral sphincter muscle in a male, 4 years. x 2. Fig. 28. Perineal view of bladder, urethral sphincter demonstrating sphincter relation to urethra and deep transverse muscle of the perineum in a male, 4 years. x 2. Fig. 29. Lateral view of bladder, urethra, and prostate with urethral sphincter muscle removed in a male, 4 years. x 2. Fig. 30. Lateral view of bladder, prostate, and urethra with urethral sphincter muscle removed in a male, 25years. x 2. Fig. 31. Oblique view of prostate and urethra with urethral sphincter muscle removed in a male, 25 years. x 2. Fig. 32. Lateral view of bladder, urethral sphmcter muscle, and prostate in a male, 21 years. x 2. Fig. 33. Median &ion of bladder, urethra, prostate and urethral sphincter demonstrating extent of contact between urethra and the urethral sphincter muscle in a male, 21 years. x 2. Fig. 34. Frontal section of male pelvis at right angles to penned membrane, through the membranous urethra, demonstrating relations of fascial planes in the pelvis, urogenital hiatus, and perineum. Age 28. Report "The Urethral Sphincter Muscle in the Male"